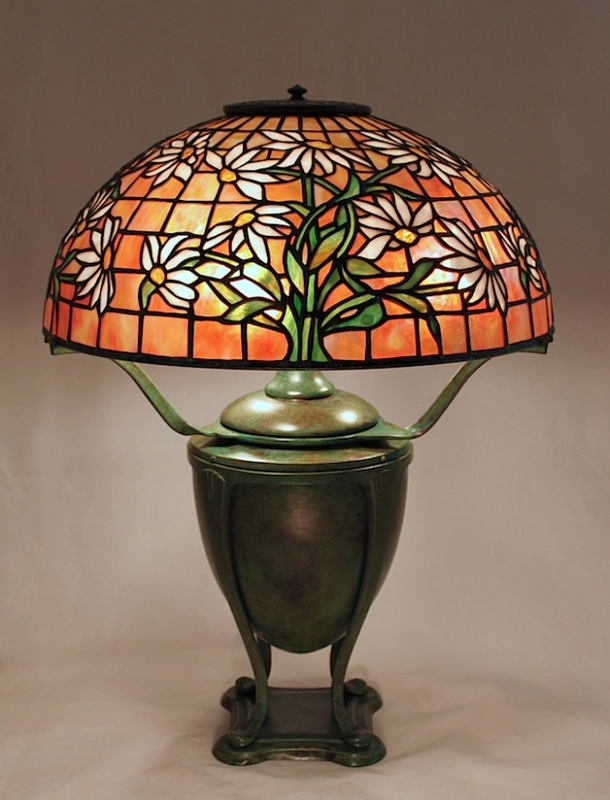 The 16″ Daisy Shade is a Century Studios hybrid of a Tiffany Studios shade design. The shade pattern is actually the 16″ Black Eyed Susan, but for years Bill had been speculating that the pattern would look wonderful in daisy colors. The shade is shown on the Greek Urn base. 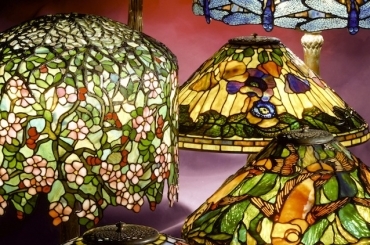 We create this base at our studio using molds taken from an original Tiffany base. This piece was commissioned in 2014 and is now in a private East Coast collection.